As MAA’s Stephen Foster puts it – “bleakly comic”. It’s long – but isn’t nearly everything these days? The measure of the made-for-internet film is not its length, but how well it sustains our interest. On this criterion Follow the Frog succeeds very well. It’s got a good tale to tell, is directed with panache and enlivened by bold use of graphics. Oh, and it uses gentle humour to camouflage the piety of its evangelical message. Yes “Siri”, it get’s my vote. Person of the Year. Tempting to mention the name of Joel Ewanick, isn’t it? No one can be said to have made a bigger splash in the world of marketing over the past year. Arguably, however, the now-dismissed chief marketing officer of General Motors made headlines for all the wrong reasons. A change agent he certainly was, but were any of his changes for the good? And what sort of permanence will they have? We hacks miss him, but I suspect the wider marketing community will not. Instead of anti-hero, therefore, I’ve plumped for a gritty go-getter: marketing services’ answer to Daniel Craig. Like Craig, he certainly wouldn’t be everyone’s first choice as the archetypal smooth operator. But his coolness under fire cannot be doubted. Step forward Jerry Buhlmann, chief executive of Aegis Group plc. If there is one thing archetypal about Jerry, it’s that he’s a self-made media man. He started off in the “five to one” slot, in other words the lowest of the low in the full-service agency hierarchy, at Young & Rubicam in 1980. Nine years later, he was setting up his his own media-buying outfit BBJ – along with ultimately less successful Nick Brien and the downright obscure Colin Jelfs. BBJ – nowadays Vizeum – though successful (it handled for example the BMW account) was originally a “second-string” shop for conflicted WCRS media. Buhlmann’s career really took off when WCRS’s Peter Scott had the inspired idea of acquiring Carat – Europe’s largest media buyer – and floating off the combined operation as a separate stock market entity, rechristened Aegis. Buhlmann and his company were soon swallowed up by the independent media specialist, which offered him much wider career opportunities. But was he a man capable of capitalising on them? While no one has ever doubted Buhlmann’s single-minded ambition to succeed, a lot have wondered whether he had the competence to do so. Yes, he had a mind like a calculator and razor-sharp commercial acumen, but where, oh where, were those human skills no less essential for making it to the top of the corporate pile? There was much mirth in the senior reaches of the media industry when Buhlmann got his first big break as head of Aegis Media EMEA in 2003. “It’s like William Hague trying to emulate Margaret Thatcher” was a typical response to his promotion. Then, as later, Buhlmann’s critics completely underestimated his ability to learn on the job. When he became group chief executive in 2010, the reception was scarcely less friendly. The master of ‘focus’ and ‘detail’ was incapable of taking the broader view vital to successfully running a publicly-quoted company, it was said. And then there was Jerry’s far-from-diplomatic demeanour: how long before he rubbed the City up the wrong way and had to be dispensed with? It wasn’t as if Aegis was an easy company to run, either. As a (near) pure-bred media specialist, it was susceptible to squalls in the media every time the inevitable financial scandal broke. Inevitable, because media buying and peculation are bedfellows and peculation distorts financial performance – meaning in Aegis’ case it had to resort to highly public mea culpas every now and then. Other major media outfits, by contrast, have been able to rely on defence in depth from the much bigger marketing services organisations to which they belong. Not only that, Aegis’s card was marked as a public company. For years, it laboured under the strain of being a takeover or break-up target. The strain became nightmarish when Vincent Bolloré, the shareholder from hell, took a strategic stake in Aegis and began engineering a series of boardroom coups. 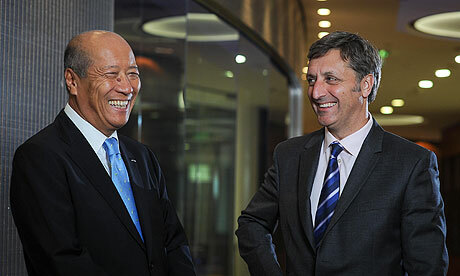 Some of the credit for Aegis’ eventual soft-landing – a 50%-premium, £3.2bn cash deal with Dentsu, sealed last June – must go to Aegis chairman John Napier. But that still leaves a lot owing to Buhlmann himself. Not only did he keep all the plates spinning in difficult circumstances, he also demonstrated a strategic clarity which eluded his predecessors. He ruthlessly pruned the company of its lower-margin research operation (by disposing of Synovate to Ipsos), but at the same time bolstered its pure-play media-buying profile with the geographical add-on of Mitchell Communications. Not a bad result, all in all, for the man once dubbed the king of the second-string. The small print in Aegis’ decision to sell its market research arm Synovate to Ipsos for £525m is easily overlooked. 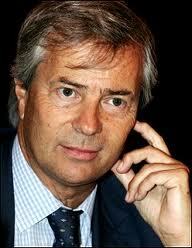 Vincent Bolloré, principal Aegis shareholder, will take a windfall commission of £53m. ‘Commission’? Whatever the business logic on both sides of selling Synovate to Ipsos, no deal was possible without Bolloré’s say-so, as 26.5% Aegis shareholder. We now know his price, to be extracted in the guise of a 15.5p special dividend payable to all shareholders once the deal has gone through in September. Bolloré’s opportunistic windfall fits well with his recent self-styled image as merely a “financial” stakeholder in the media buying giant, who is theoretically ready to sell out if the price is right. But don’t be deceived. Aegis, as a pure-play media planner/buyer, is now a lot more vulnerable to a break-up bid. And Bolloré, as chairman of and 33% stakeholder in Havas, has greater strategic reason to promote one than any other potential player. Bid speculation about Publicis Groupe and WPP, which has fueled Aegis’ share-price recently, looks wide of the mark. A senior source at WPP has dismissed a break-up bid as “pure BS”, while Maurice Lévy implicitly ruled out the idea of Publicis being a prime mover in his H1 earnings call last week (although, note his cryptic point about a “game-changing opportunity in one of our operations” in the ‘M&A’ section of this interview). A break-up bid initiated by either party would lead to severe regulatory problems. Havas, on the other hand, has every reason to snap up a global media buying operation if the price is right. 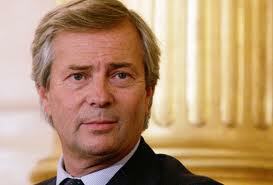 The perceived problem is that Bolloré does not have the financial resources to act on his own. That’s not to say he could not, or would not, collaborate in a carve-up. After he has picked up his windfall, of course. Is Ipsos poised to buy Synovate from Aegis for €550m? A rather interesting rumour is doing the rounds of the City. And it is this: Aegis, the media buying group, is about to divest its market research operation, Synovate, for a princely €550m (£481m). The lucky recipient? Paris-based global market research empire Ipsos. While I have no idea whether any deal will go through, let’s say it’s not a surprise that the two parties should be talking. After all, we’ve been here before – or at least, somewhere very nearby. Back in 2009, Aegis launched a formal strategic review to determine whether or not to sell Synovate. At the time, GfK was felt to be the most likely buyer. GfK – privately held but the world’s fourth largest MR group even so – was still smarting after it came off second best to WPP in the acrimonious £1.1bn bid battle for Taylor Nelson Sofres. But it might just as well have been Ipsos, the fifth largest, that was doing the talking. Both MR groups are in the grip of the same strategic imperative: they need to grow bigger in the wake of the 2008 TNS deal, which catapulted WPP to near top position in the world market research league table, just behind Nielsen. The consolidation question is not a ‘whether’ but a ‘when’. What’s more we know the Ipsos management team admires Synovate and believes it would be a good fit. Don’t just take my word for it. In late 2005 Ipsos’ chairman and chief executive Didier Truchot publicly described Synovate as “a very nice and dynamic organisation.” Of course, he didn’t go so far as to say he would actually buy it. Then again, he didn’t say he wouldn’t. He merely pointed out that it was “a little too early” to entertain such a possibility. Truchot was at it again in 2009, when announcing a robust set of results for the previous year: he danced around the idea of buying Synovate without actually saying it. Perhaps five-and-a-half years has proved long enough to mature his plan. All of which does little to shed light on Aegis’ motives for selling the business, if that is what it is doing. Admittedly, the market research division is currently an underperformer. In the latest, Quarter 1, financial results, the Media division turned in an impressive 10.1% improvement in sales, well ahead of the 7% analysts had been expecting. Synovate, on the other hand, undershot, if only by a small amount. Furthermore, divestment would provide more ammunition in the war-chest. Aegis chief executive Jerry Buhlmann has already embarked on a strategy of shoring up Aegis’ position as a pure-player global media buyer with the £200m acquisition of Mitchell Communications. But there is a wild card in all of this. What of 27% Aegis stakeholder Vincent Bolloré? Despite his very public disavowals of any further interest in a takeover, Aegis would surely become more, not less, tempting as a target. After all, what Havas – of which he is president and the principal shareholder – most needs is a more effective media buying operation. UPDATE 6/6/11: Evidently the rumour was true: Aegis has just confirmed it. What matters, now the veil of secrecy has been stripped from the talks, is whether Ipsos is allowed a clear run at the acquisition. Or will others, such as Publicis Groupe, barge in with better terms? Anyone interested in the financials (Ipsos is about twice the size of Synovate) might care to look at Bob Willott’s newsletter on the subject. What a week to be away. Mark Lund, chief executive of the COI, announces he is quitting after only two years (it’s usually a five-year contract) to return to the private sector. There could be no bleaker verdict on the outlook for public-sector marcomms expenditure in the foreseeable future. 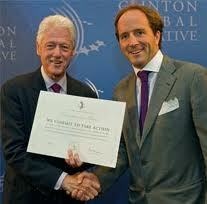 Meantime, David Jones (on the right) has emerged as group CEO of Havas’ global operations. Jones takes over from Fernando Rodes, who has held the post since billionaire financier and industrialist Vincent Bolloré first became chairman and principal shareholder (35%) of Havas. At first sight, the management shake-up comes as a complete surprise, with Rodes unexpectedly announcing his semi-retirement at a board meeting yesterday. In fact, the accompanying restructure has all the hallmarks of a carefully stage-managed event. It should also be noted that Rodes’ resignation comes precisely five years after he was installed in 2006. Rodes has been competent rather than outstanding at the Havas helm, and seems to have been feeling the pressure from Bolloré. Global expansion has been hesitant and Havas’ recent set of annual results show solid rather than spectacular signs of recovery. 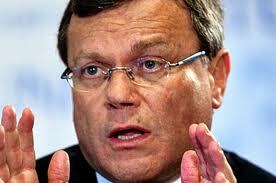 They certainly lag the performance of the really big hitters such as WPP and Omnicom. Rodes is a complex and somewhat enigmatic figure. He holds many trump cards: urbane, an accomplished linguist, well plugged into the Franco-Iberian business community, he is also a key player in MPG – a media planning/buying specialist set up by his father Leopold, and now a strategic component of Havas. But the appeal (like MPG’s) is regional rather than global. And he comes across as a somewhat reluctant leader. Jones, whose middle name is ‘Vitality’, can be accused of no such reticence. For some time, he has been the obvious leader-in-waiting, as head of EuroRSCG Worldwide and latterly Havas Worldwide (meaning all of Havas’ global advertising operations). Which is where the recent growth, particularly in North America, has really been happening. To these responsibilities will now be added MPG, plus other media buying units such as Arena. Note, however, that Jones’ own power-base remains intact: he will continue to be CEO of EuroRSCG. He’s a shoo-in in other respects, too. Fluent in three languages (English, French and German), Jones has been an indefatigable performer on the world stage ever since he rose to prominence at Havas. He is a natural brand ambassador. We should not underestimate his achievement, however. At 44, he is the youngest-ever CEO of a premier league advertising and marketing services group. He is also that extraordinarily rare phenomenon, a Brit in charge of one of France’s most cherished companies. No pressure then, though I doubt he’ll show it. Is Bolloré limbering up for a new tilt at Aegis? Wouldn’t it be a shock if Vincent Bolloré, corporate raider, chairman of Havas and long-time would-be nemesis of Aegis, were finally to deliver his knock-out blow just when the media buying, digital and research group was least expecting it? But he’d never do that would he, not now? Most informed commentators believe he missed his golden opportunity 18 months ago when Aegis had lost a third of its market value and was lurching rudderless after the incoming chairman, John Napier, fired group chief executive Robert Lerwill. Things are very different now, with Jerry Buhlman installed as ceo and actively engaged in an aggressive acquisitions policy that has successfully targeted Australian media buyer Mitchell Communications. The share price – an anaemic 75p 18 months ago – has now regained a lot of its former lustre, hovering around 123p. Really? What commentators seem to forget is that Havas itself was in no fit state to exploit Aegis’ weakness 18 months ago. It’s far better primed now, with up to €2bn (£1.7bn) in cash and loans available to it, and a much fitter share price to boot. Bolloré has close connections with Italy’s biggest publicly traded investment bank Mediobanca, of which he is a 5% shareholder. Aegis is capitalised at about £1.47bn. A bid mixing Havas shares with substantial cash to sweeten Aegis’ extraordinarily loyal shareholders would be the way ahead. Let’s see whether – in the coming months – Bolloré has the courage to take it.